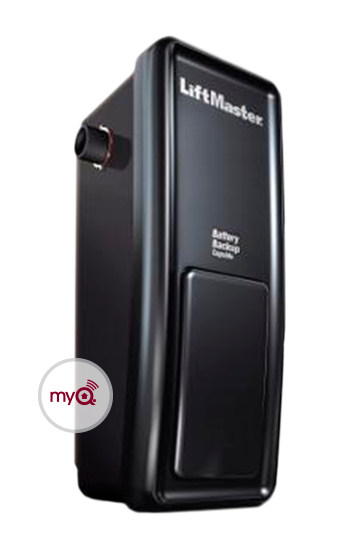 If you're looking for affordable and low maintenance garage door openers for your home, look no further than LiftMaster. We proudly offer chain drive, belt drive, and jackshaft residential garage door openers for your Des Moines home. Our most popular models are listed below. For sales, service, and repair, contact Hicklin Door Services today! Chain drive garage door openers: A popular choice for most homeowners! This type of opener uses a chain to move a trolley along a rail to raise and lower the door. Chain drive openers are the most common type of residential garage door opener due to their dependable service and low cost. Belt drive garage door openers: If your garage is located next to a bedroom, it's important to choose a quiet garage door opener. A belt drive garage door opener uses a synthetic belt to raise and lower the door which can help minimize vibrations. Little maintenance is required as well, as the durable belt ensures many years of reliable use. Jackshaft garage door openers: While chain and belt drive garage door openers share many similarities, a jackshaft opener provides a unique way of operating your door. These side-mounted openers have a small profile and leave the area above your door free for storage space. Jackshaft garage door openers offer years of silent and worry-free operation. 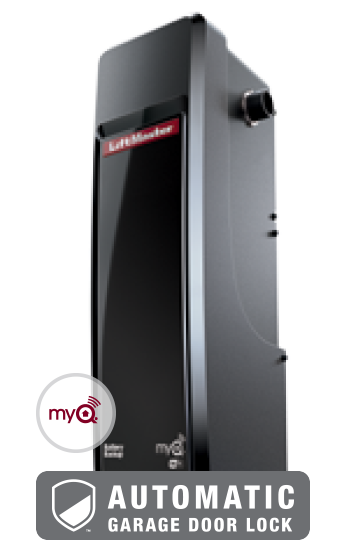 For more information on our residential garage door openers, be sure to read these resources!